How do I Choose the Best Clothing Fixtures? Clothing fixtures should allow customers to easily browse a store's selection. Display windows often use mannequins to help advertise garments. Choosing the best clothing fixtures for your store means selecting the ones that will display and dispense your products the most effectively to customers. 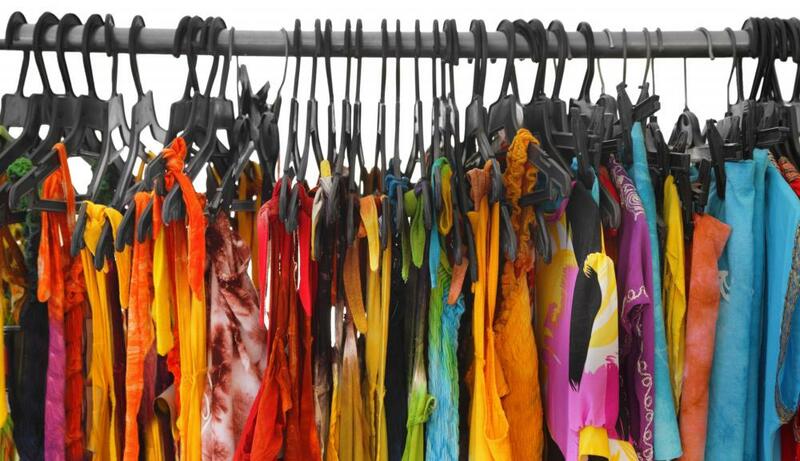 Display fixtures and wall racks should allow shoppers to adequately view and remove clothing items easily. Hanger tops should glide effortless from rack knobs; customers shouldn't need to fight with the clothing fixtures to take the clothes out to look out and try on. Also consider the best clothing fixtures to fit your store space and layout. 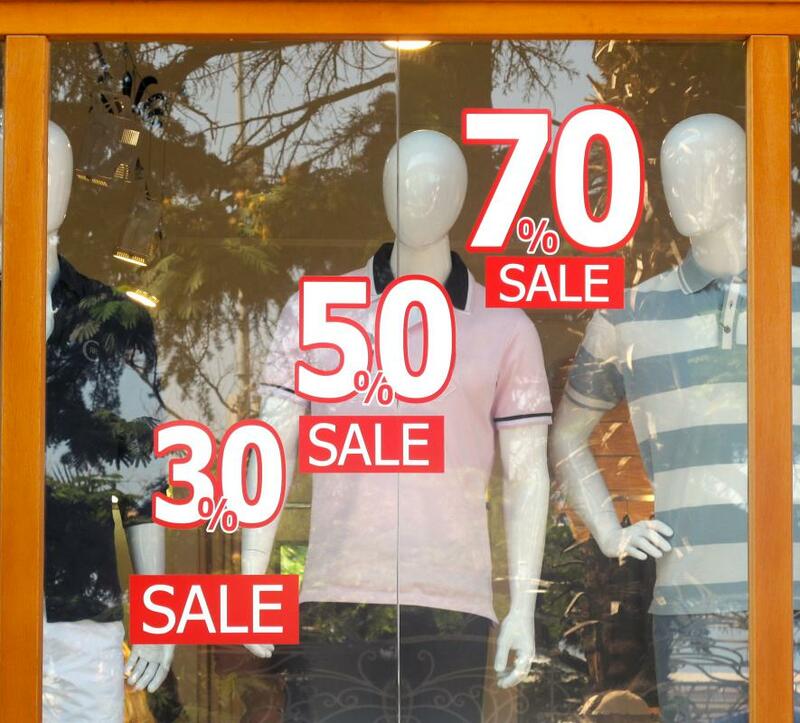 Whether you decide to have revolving, circular floor racks or tabletop displays of clothing near your entryway, your merchandise should be noticeable to passers-by to hopefully entice them into visiting your store. Along with a grouping of mannequins in the window, entryway displays can really grab the attention and interest of potential customers. Once you have racks and/or tables in the center of your store, you can plan what clothing fixtures to use on the side, and perhaps the rear, walls. If your cash register area and changing rooms are at the back of the store, you may want to use the rear walls for accessories such as scarves or jewelry in order to keep small items more watchable and secure. Also, keeping accessories near the changing rooms may entice customers to buy them to accessorize the clothing they've selected. If the cashier stand is near the front, however, you may want to install more clothing fixtures on the back wall. You might cover that wall in peg board so you can add metal hooks to showcase outfits. For the side walls of your store, you may want to add a combination of shelves for sweaters and racks for pants or skirts. Metal bars that fasten on the wall and hold six or more shirts also make good side clothing fixtures. These racks typically have knobs on the top to hold hangers. Make sure your clothes hangers work smoothly with the racks you choose so your customers can remove the pieces effortlessly. If you don't need the upper side walls for storage and you're able to safely support them, dressed mannequins could be placed there to showcase more outfits. How Do I Choose the Best Dresser Knobs? How do I Choose the Best Wall-Mounted Light Fixtures? What are the Different Types of Hanging Fixtures? What Are the Different Types of Laundry Faucets? What is a Shoe Closet? What are the Pros and Cons of Sliding Closet Doors? How do I Choose the Best Closet Organization Systems?